• 1 hour fire protection. • 2 hour fire protection. • 4 hour fire protection. 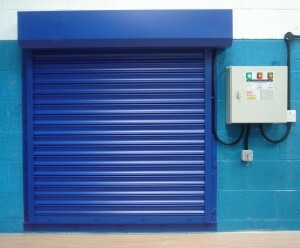 Constructed to the latest safety standards this electric roller shutter is manufactured from cold rolled 20 gauge galvanised steel sections. The CB27 fireguard shutters are safety device’s that form a protection barrier against the spread of property fire for up to 4 hours and can be linked to many closing requirements such as audio alarm, visual beacon, time delay or subject to local fire officers advice. Common use: The Cb27 Fireguard roller shutter is best used in kitchen survery areas, warehouses, commercial areas where fire segregation is needed yet walk through or general day to day access is required.